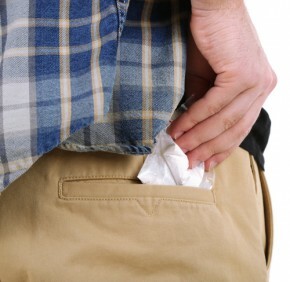 Cocaine has long been one of the most popular stimulants on the streets. Thanks to the initial promotion of Sigmund Freud, who labeled it a “magical” substance, and thanks to further misinformation and vested interests, facts on the drug are buried in a morass of lies. Now it is the second most trafficked illegal drug in the world, pushed mostly along the pipeline from Colombia and other South American countries. In this article we will examine the truth about cocaine and its effects. A common side effect of cocaine is the mental effects. Hallucinations occur often, especially a tactile hallucination of bugs burrowing under the skin. Bizarre, erratic and sometimes violent behavior can result. Panic and psychosis are not uncommon, making the user volatile and dangerous. It is very easy to justify cocaine use and very difficult to see the effects if you are not watching it from afar. Yet like any drug, the urge for more drives the user to madness, turning even the most innocent person to prostitution, crime and murder for more. To truly wrap your wits about cocaine, it helps to understand the history of this drug. The coca plant, a potent stimulant from which synthetic cocaine derives, has been used for millennia among South American indigenous races. It was first isolated in a lab by a German chemist in 1859, and in the 1880’s it became popular among the medical community due to the support of Sigmund Freud, who used the drug himself and shared it freely with his friends and patients. Despite observation of the negative effects of cocaine—including terrifying hallucinations and overdose—Freud continued to push cocaine use in the treatment of depression and sexual impotence. In 1886, the popular soft drink Coca-Cola opted to include coca leaves in their recipe. This caused the company’s popularity to soar to new heights due to the euphoric and energizing effects on their consumers. Throughout the decades, cocaine continued to climb the ladder, receiving accolades from Hollywood during the silent film era and being promoted to millions. By the time the drug was officially banned in 1922 due to thousands of deaths, it was too late. And when the 1970’s hit, cocaine was right up there with the most fashionable drugs, earning a comeback around the world.